Bill, a lifelong resident of Wilmington, is a graduate of John Dickinson High School, Delaware Technical and Community College and Catonsville Community College Department of Mortuary Science. Bill began working at the funeral home with his father, Bill Sr., at a young age and became a licensed funeral director in 1986. He has served on the boards of the New Castle County Chamber of Commerce, Mid-County Senior Center and Saint Mark’s High School. He is past president of the Christiana Rotary Club and a Paul Harris Fellow. He is past president of the State of Delaware Board of Funeral Service, having been appointed as a professional member, by Governor Tom Carper. He is a member of the Delaware State Funeral Directors Association and served as the state’s National Policy Board Representative. He is a member of St. John the Beloved Parish and is a charter member of St. John the Beloved Council #11796 Knights of Columbus. Bill lives in Pike Creek with his wife Dana; they have 4 grown children and 3 granddaughters. Jim has been a resident of Newark for 45 years. He is a graduate of Christiana High School, attended the University of Delaware, Delaware Technical and Community College and received his Mortuary Science degree from Catonsville (MD) Community College. 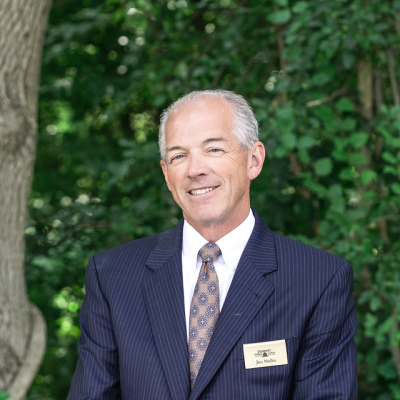 Jim started in funeral service 1980 and has been with the Doherty Funeral home since 1995. He is a member of St. John-Holy Angels Church and also attends St. Thomas More Oratory. A Wilmington native, Chris is a graduate of St. Anthony of Padua Grade School, Salesianum School and earned his degree from Catonsville Community College of Mortuary Science. He is a member of the Knights of Columbus, St. Pius X Council. 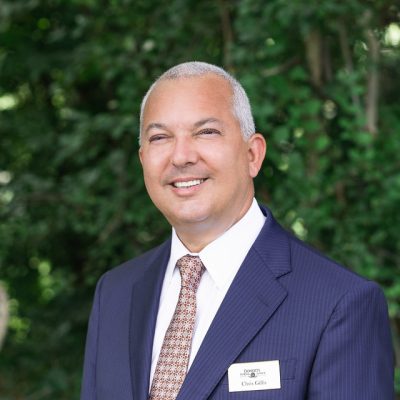 Chris began his career in funeral service in 1990 and received his funeral director’s license from the State of Delaware in 1994. He has been privileged to serve families at Doherty Funeral Homes since 2006. Chris enjoys spending his leisure time with family and friends, especially his niece and nephew. Raised in Wilmington, Michele is a graduate of McKean High School. She graduated from Davis and Elkins College with a Bachelor of Science Degree in Business Management, Marketing and Fashion Merchandising, and an Associate Degree in Applied Science from Mercer County Community College’s Funeral Service Program. 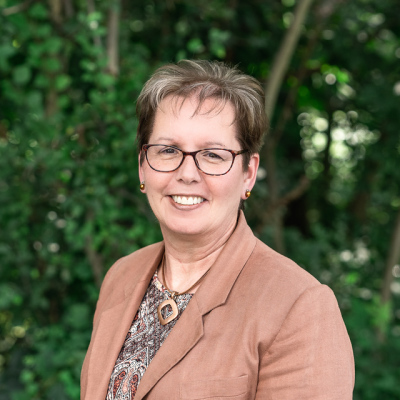 Michele began her career in funeral service in 2000 and is a licensed funeral director in Delaware, Pennsylvania and New Jersey, as well as a licensed agent for pre-need insurance. Michele resides in Wilmington with her husband and their two daughters. John F. Yasik, III is a native Delawarean. A fourth generation Funeral Director of John F. Yasik Funeral Home for over 39 years, John became licensed in the State of Delaware in 1975 and joined his father, John F. Yasik, Jr., in the family business which was founded by his great grandfather. John is a lifelong member of St. Hedwig Parish, a graduate of St. Hedwig Elementary School and Salesianum School ‘71. He is a graduate of Cincinnati College of Mortuary Sciences, where he received the Award for Excellence in embalming. John is a 39 year member of the National Funeral Directors Association and the Delaware Funeral Directors Association, where he currently is serving his fourth term as Treasurer of the association. John is an active volunteer in the community. John is a 3rd degree Knight in the Knights of Columbus – St. John Paul II Council. He presently serves as their Chancellor and is a past Treasurer of the organization. He is a long time member of the Polish Festival Committee, where he can be seen annually entertaining the thirsty festival patrons as a bartender. He faithfully serves as Extraordinary Minister of the Eucharist for St. Hedwig Church and a member of St. Hedwig Finance Council. He is also a member of the Polish Kitchen who prepares and serves the Polish dinner for International Night every January benefitting The Ministry of Caring. He was past Treasurer of 12 years for St. Elizabeth Cub Scout Pack 285. John was also an Umpire and member of the Delaware Amateur Softball Association for over 20 years. John lives in Newark with his wife, Dianne; They have two sons. In May 2014, John made a decision to join with the Doherty Funeral Homes and continues to serve his families as John F. Yasik Funeral Services through the facilities at 1900 Delaware Avenue in Wilmington and 3200 Limestone Road in Pike Creek. Sandy graduated from St. Elizabeth High School and was hired directly by Wilmington Trust Company. She worked at Wilmington Trust Company for 17 years in Human Resources and held various administrative/managerial positions within Human Resources. She received an American Institute of Banking Diploma while employed at the bank. Sandy joined Doherty Funeral Home in 1995 as an administrative assistant & in 1998 became the Office Manager. Sandy has an extensive background in customer relations in her work experience and her personal achievements. In addition to her duties as Office Manager at Doherty Funeral Home, Sandy was formally trained as a Family Care Consultant to implement the Family Care Program in 2003. The “extra service after the service” has helped many of our Doherty families and has been well received. Sandy has been a lifelong member of St. Elizabeth Church; previous Pastoral Council Member, Parish Lector; Athletic Association Secretary; Junior Achievement Volunteer; and volunteer for church functions. Sandy is married & has 3 children. Tom, a lifelong Wilmington resident is a graduate of St. Thomas the Apostle School and Salesianum. After earning a Bachelor of Science degree from Elizabethtown College, he taught Science and coached sports teams in the Unionville Chadds Ford School District for five years. He is a past president of the Woodcreek Civic Association, St. John the Beloved Parish Council and St. John the Beloved Home and School Association. Additionally, Tom served a term on the St. Marks High School Board of Directors. 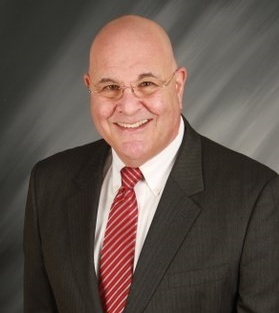 Tom joined Doherty Funeral Homes in January 2018 as a Pre-Planning Consultant. A native Delawarean, Ralph graduated from Dover High School and attended the University of Delaware. He earned a Bachelor of Science from Philadelphia College of Bible and a Master of Theology from Dallas Theological Seminary. Moving back to Delaware, he joined the staff of Doherty Funeral Homes in 1992 where he guides children, adults, and families through the grief process. With a background as a hospital chaplain and hospice Bereavement Specialist, Ralph has 30 years’ experience assisting families when a death occurs. He is Ordained by the Baptist General Conference, Certified in Thanatology: Dying, Death, and Bereavement by the Association for Death Education and Counseling (ADEC), and a Certified Funeral Celebrant. Ralph has served nationally for ADEC as the Chair of the Professional Development Committee and Chair of the Course Standardization Taskforce. Locally, he has served as President of the Delaware End-of-Life Coalition, member of the Board of Directors of Supporting Kidds: The Center for Grieving Children & Their Families, and Chair of the Accreditation Committee of Wilmington Christian School. He has also authored several CareNotes published by Abbey Press for teens, adults, and professional caregivers. Ralph and his wife live in Pike Creek. They have four adult children and two granddaughters. Dianne Yasik is a South Jersey native. She is a graduate of Thomas Jefferson University School of Nursing. She was a Registered Nurse working for over 20 years at Thomas Jefferson University Hospital in the Medical Oncology department and later in a private practice for Asthma, Allergy and Pulmonology Associates. She served as the School Nurse at St Hedwig’s Elementary School in Wilmington, Delaware before joining her husband, John F. Yasik, III, full time at the John F. Yasik Funeral Home as the Office Manager. As an active member of St. Hedwig Church, Dianne currently serves as a Eucharistic Minister, is past President of the Holy Rosary Society, and past co- chairman of St. Hedwig’s Annual Polish Festival. She has also served as Treasurer of St. Hedwig Home and School Association and has been chairman of the school Auction Committee. She was active for many years in the St. Hedwig CYM Sports program where she coached both the 4th Grade girls and Senior boys basketball teams. Dianne also served for many years as a co-leader of Cub Scout Pack 285. Dianne lives in Newark with her husband of 27 years, John and their two sons. In May of 2014, Dianne joined the staff of Doherty Funeral Homes. Lynne graduated from Goldey-Beacom College with an A.S. degree in Legal Secretary Studies. She then received her Paralegal Certificate from Widener University School of Law. Lynne worked in the corporate law field for 13 years. After the birth of twin boys in 2000, she became a stay-at-home mom. In 2006, once her children were in school full time, Lynne returned to work in a part-time Administrative Assistant position with Doherty. Lynne is a member of the Delaware Paralegal Association and volunteers at her sons’ school. She lives in Wilmington with her husband and four children. Kate was born and raised in the Forty Acres area of Wilmington and is a graduate of St. Elizabeth’s High School and York College. She began her customer service career at Pathmark, where she worked for 23 years. Kate joined the staff of Doherty Funeral Homes in 2013 and currently serves as the administrative assistant and receptionist at the Pike Creek location, where she values helping families during their time of need. Coming from a large, close knit family, she is one of eleven children and enjoys their many gatherings. Kate is married with four children and two grandchildren. Larry was born and raised in Wilmington and is a 1969 graduate of Conrad High School. Upon retiring from DuPont after 24 years of service, he began his second career in funeral service in 1996. Larry lives in North Wilmington with his wife, Martha; they have 2 children and a granddaughter.